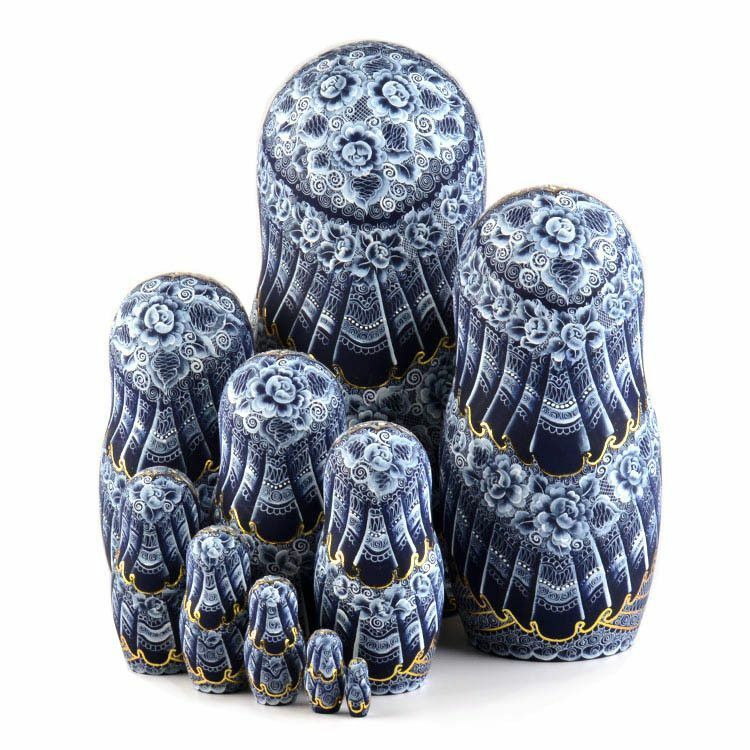 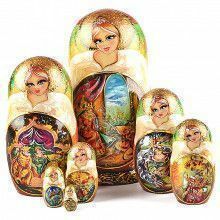 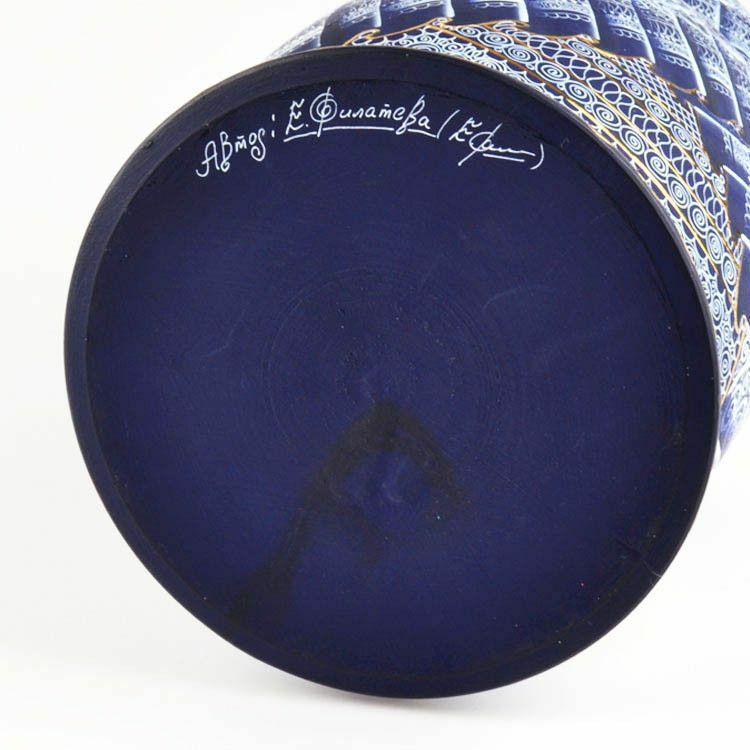 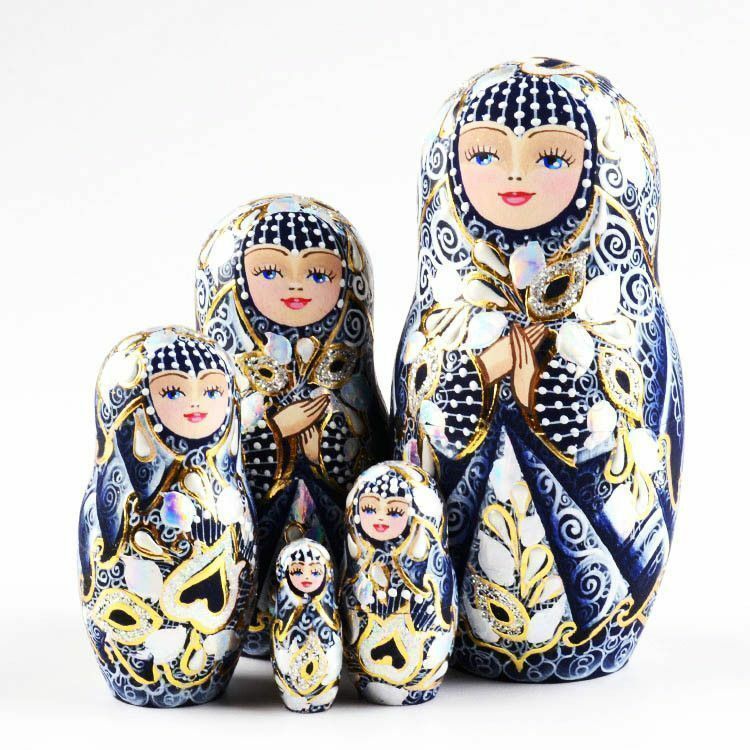 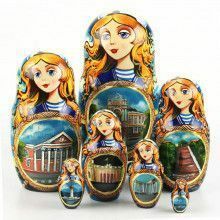 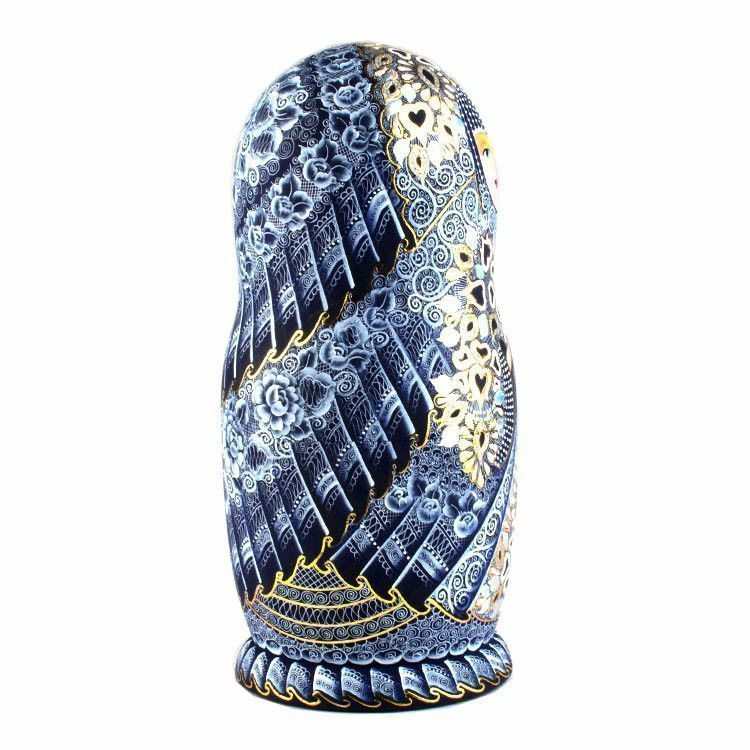 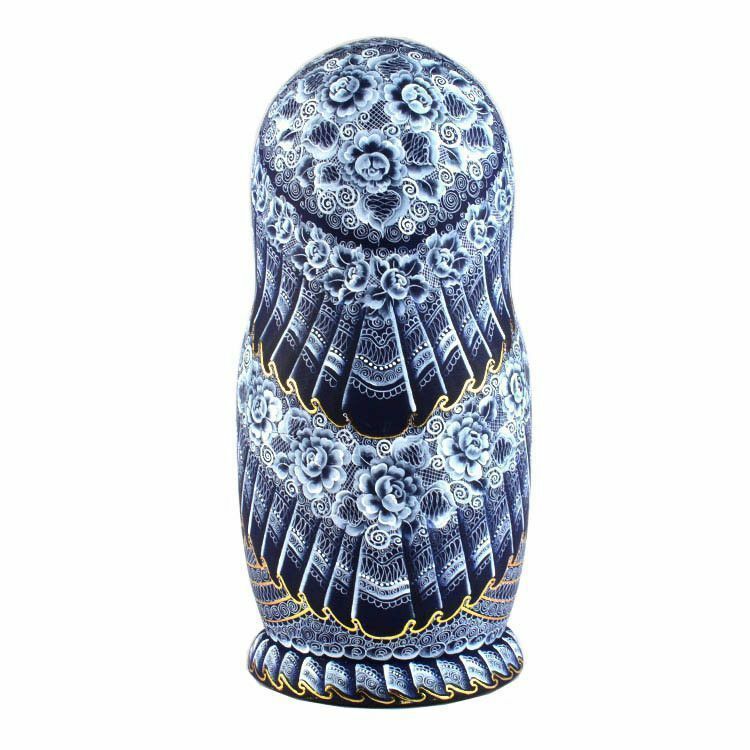 The amount of fine detail on this blue lace queen collectible nesting doll is simply mesmerizing. 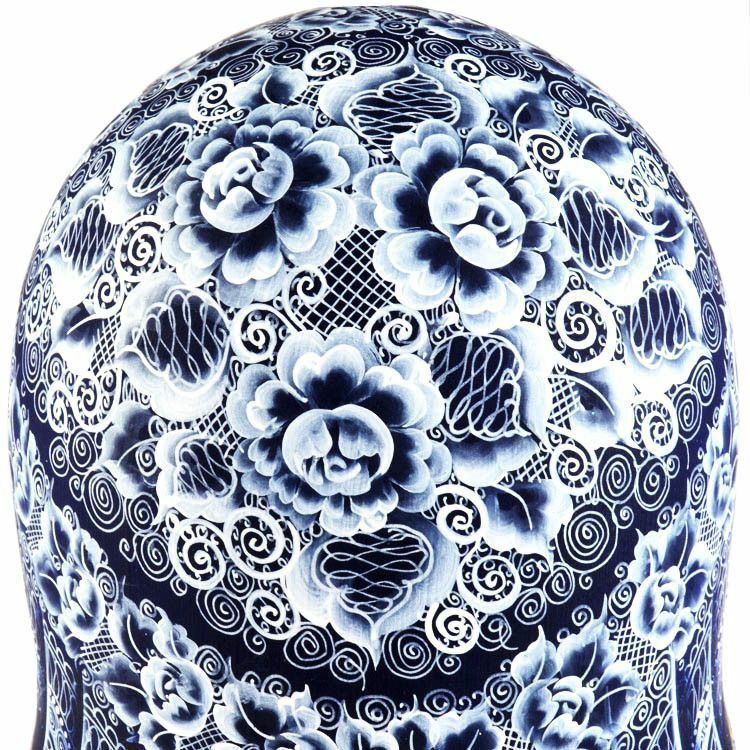 All the depicted white lace on the dark blue background was painted by hand in Russia, by artist E. Filatova. 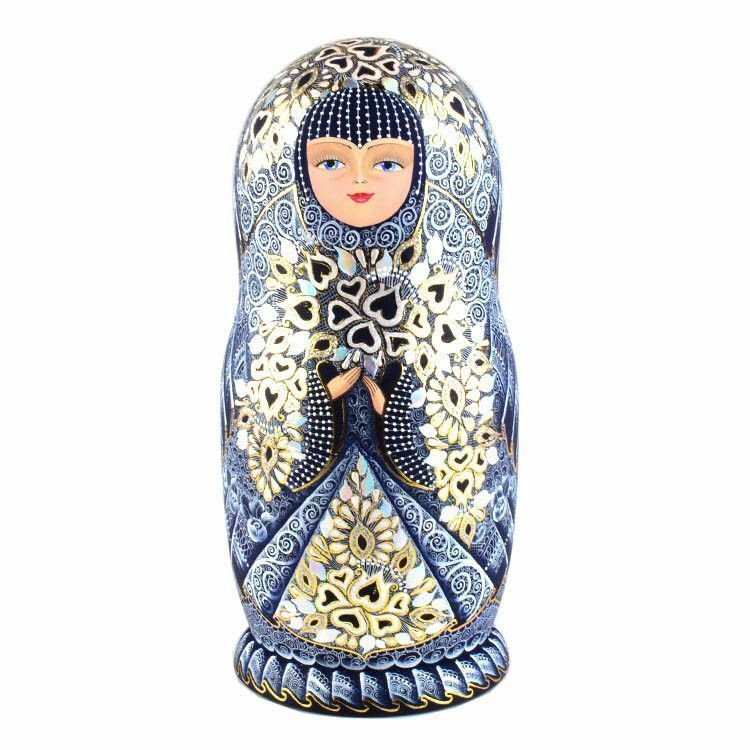 The doll was further accented with shiny gold, silver, and iridescent colors. 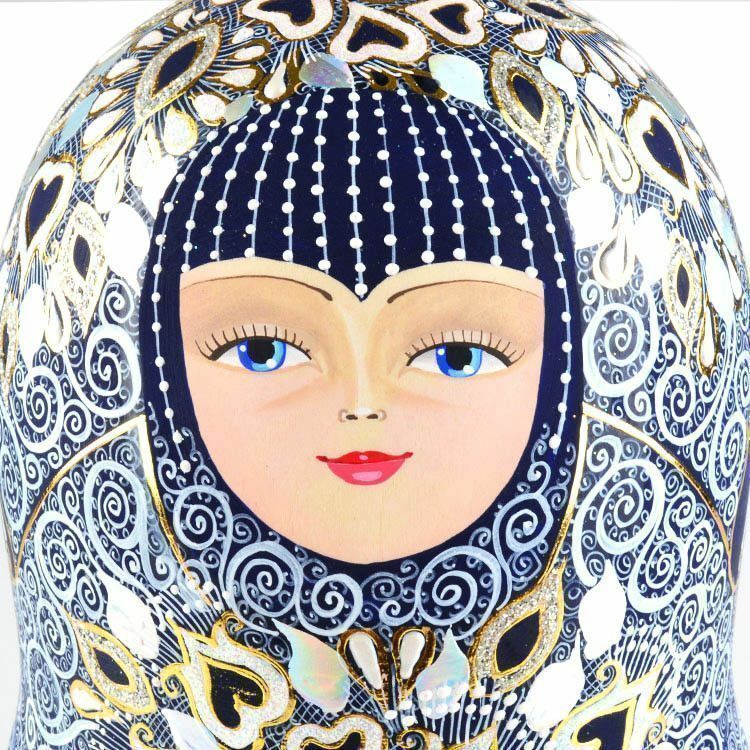 This nearly 12 3/4" tall doll is truly a one-of-a-kind piece of artwork that any serious art collector would cherish. 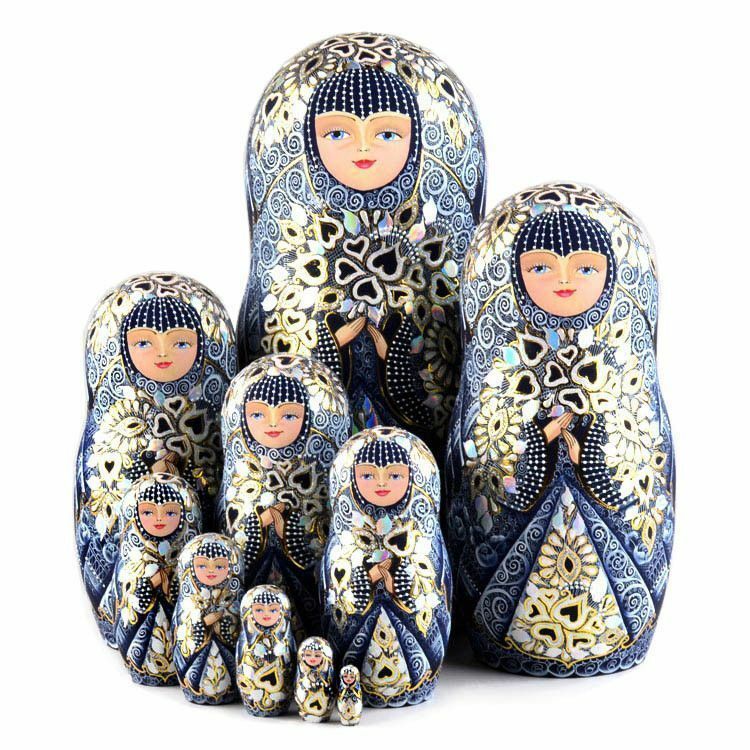 All 10 dolls in this set are amazing!